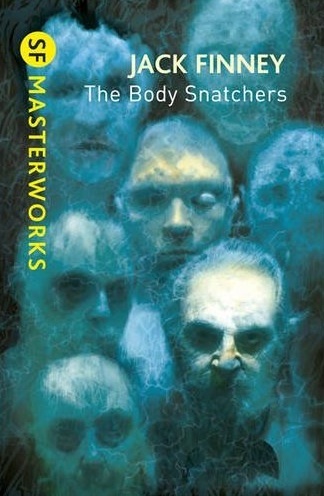 1) I’ve just received a copy of the lovely new SF Masterworks edition of Jack Finney’s The Body Snatchers, with intro by me. Obviously it’s a terrific book, but I wanted especially to flag it here because of the cover art. The back cover says it’s “based on” an original piece by Dominic Harman. I don’t know what that credit entails/means in detail, but the cover is just brilliantly disturbing, especially when you look at it up close – and very appropriate for the book. 2) London people may be interested in this evening’s BSFA discussion, between Farah Mendlesohn and Charles Butler on the work of one of the UK’s great fantasists, Dianne Wynne-Jones. Venue as usual is the Antelope pub in Belgravia from 7pm. ~ by grahamsleight on September 22, 2010. Yes but at a ludicrous price that ensures I won’t be buying it. After wrestling with the rights for 15 years you’d think they’d just want to make it widely available.